We follow up on a popular series of fragrant stories from practice and this time we will deal with the use of essential oils for female health in the 50+ age group. Our story will be shared by Finnish aromatherapist Ulla – Maija Grace, who specializes in aromatherapy for mature women and seniors. Menopause is a natural but also a very specific and demanding period in a woman’s life. A topic that is not easy to talk about. It is an intimate topic and often accompanied by problems that women hurt in sensitive places – both body and spirit. The good news is that aromatherapy can also be very effective and helpful in this area. Finnish aromatherapist Ulla-Maija Grace will be the guest and principal speaker XXIII. International Aromatherapy Conference titled: Aromatherapy for the Mature, Aged and Seniors – Fragrant Fall of Life . The conference will be held 10.11. – 11.11.2018 in Hotel STEP (Prague – Liben). 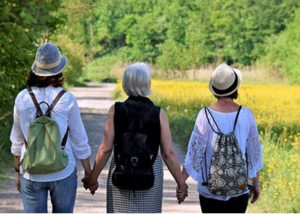 Menopause – a scarecrow or liberation? Menopause (transition) is a period in every woman’s life, when moon cycles slowly cease. For women aged 50 or over, ovaries stop releasing eggs and the menstrual cycle will cease. The exact age at which the transition occurs cannot be determined. During this period, there are significant hormonal and other biological fluctuations, which are manifested through a number of physiological and, above all, emotional symptoms. Looking at the list of possible symptoms, one does not even wonder that menopause is a dreaded period of woman’s life. However, it is also worth mentioning that 70% of women experience these difficulties in a certain form and intensity, so there is also a chance to move to this phase of life without any major difficulties. For a seamless transition, it is more than important that the woman finally finds enough time for herself, devoting herself to the activities she enjoys and fulfills. Healthy lifestyle – a light healthy diet, plenty of movement and sleep, and, last but not least, supportive family and friendly relationships are a golden ticket to this wise woman . Flushing, sweating and how to treat these with aromatherapy? Hot flashes are known by most women during the transition, and they may take several months or years. They show a sudden feeling of warmth, especially in the upper half of the body, and blushing and faintness of the face. It may take a few seconds to a few long minutes. They occur spontaneouslyl, in situations where we least expect them and are usually associated with psychological stress, hot environments, caffeine or alcohol. After the boom, the body is cooled very quickly and does the job of getting the body back to its original temperature. The hormones estrogen and progesterone are triggered to regulate body temperature. to 10 ml of carrier oil. These three oils work very well synergistically at the hormonal level. She even mixed and added Picea Mariana ( Picea mariana ) – especially at a time when she felt very tired . It was enough to massage a small amount of the mixture in the morning and evening to the lower back and lower abdomen. To make a pleasant feeling throughout the day, she used this mixture on her neck and upper chest. Ylang-ylang– has antidepressant, aphrodisiac effects, reduces blood pressure, soothes and raises mood. Salvia sclarea– has phytohormonal effects (it has estrogen properties), it is also soothing and euphoric. Geranium – an extraordinarily effective oil for women, helps with anxiety and depression, refreshes the psyche. 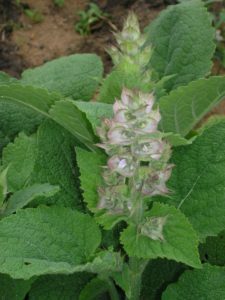 Clary sage is a strong herb with strong aroma and effects. The menopause period occurred for Ulla-Maija around 54 years of age. She had heard stories of the discomforts many women experienced. She was interested to see how this period would appear to her personally. The menopause began to bother her first with particularly strong hot flashes in situations where she least expected – during teaching, lecturing at conferences, having fun with friends. Also, her menstrual bleeding was much heavier. But the biggest challenge and problem was the night sweats. Cover on, cover off, cover on, cover off… so it went all night. Finally, she was so tired that it was virtually hopeless to concentrate on any task. At that point, she decided to end her passive observation of her menopausal symptoms and prepare the above-mentioned blend of essential oils. Its effects surprised her very pleasantly – even when compared to everything she had previously experienced in aromatherapy. She used the mixture on her lower abdomen and lower back before bed and slept all night long! Since that day, she used the blend before bedtime and over the day, and gradually, within a few months, hot flashes ceased After this positive finding, she stopped using the mixture and was good for a few months, but once again it came – cover, uncover, cover, uncover … so the blend was taken back to use. This blend of essential oils was used successfully by Ulla-Maija for several years, as needed, and she also recommended it to her clients. Using the oil blend made her menopause fairly easy. It was an invaluable, gentle companion. Excursions to nature will contribute to mental and physical well being. 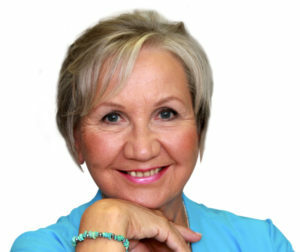 Author of the story: Ulla Maija Grace. Home photo: Ulla Maija Grace archive, Photo: Petra Torová, Pixabay. Amended and supplemented by: Petra Torová. Ulla-Maija Grace, a Finnish aromatherapist and lecturer. 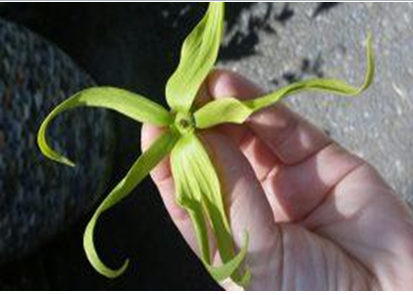 She studied Aromatherapy at the London School of Aromatherapy and L’Institute des Sciences Biomedicales in France. The combination of the British and French approaches to the use of essential oils has become the main direction of her ideas and work. Ulla-Maija Grace began her aromatherapy career in 1985 and became a member of the IFA (International Federation of Aromatherapists) in 1991. She is the founder and director of the Finnish company Aromatica, whose products combine the wisdom and knowledge of our ancestors with current scientific knowledge and long experience of natural health care. 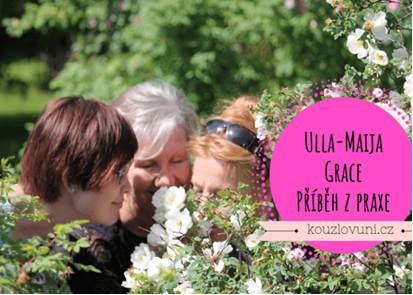 Ulla-Maija Grace publishes aromatherapy books and shares her knowledge on courses and lectures all over the world. The Association of Czech Aromatherapists is the annual organizer of an international conference. For more than 20 years, she has welcomed significant aromatherapy representatives from different countries in Prague. Recall that last year, the main guest was a world-renowned aromatherapist Robert Tisserand , in 2016 Bevin Clare , American herbalist, and in 2015 it was Caroline Ingraham , British zoopharmacologist. We thank the organizers for these wonderful enriching events.